This project features two solutions in response to one design challenge. 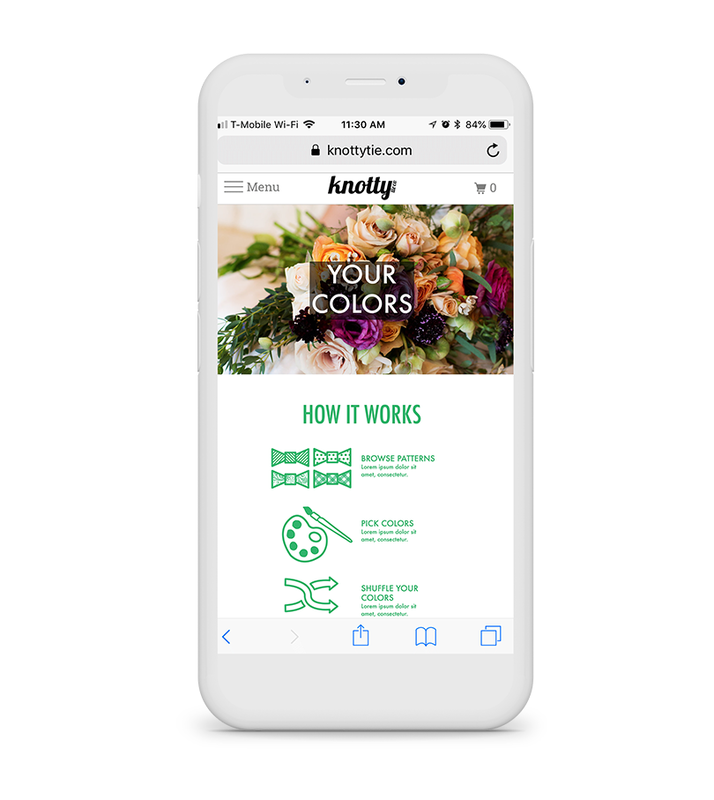 When Knotty Tie launched its new customization tool, we were tasked to design banner ads that helped explain the tool’s functionality and get people excited to try it. The first solution, called “Come to Life” is specific for a wedding audience. “Come to Life” was intended to draw in customers whose primary goal is to match their wedding colors. Our second solution was intended to capture a broader audience by demonstrating the unlimited possibilities that our new tool opened up. This is the solution that was ultimately displayed on our website and in our advertising on Instagram, Pinterest, and Facebook.